Overwhelmed by a messy closet? Things with a “place” are left neat. They’re left sortable. They’re stored in a way that they’re kept in good condition, and they aren’t an eyesore in your home. 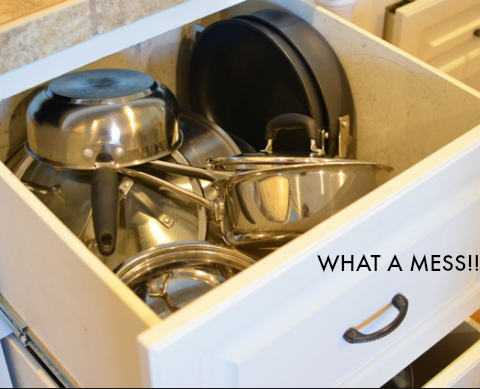 At the same time, even the messiest storage is usually behind a closed door. Some might ask, “why should I really care?” And, given that Signature Home Services does design-builds, interior design and handyman work, why should we care enough to be blogging about it? 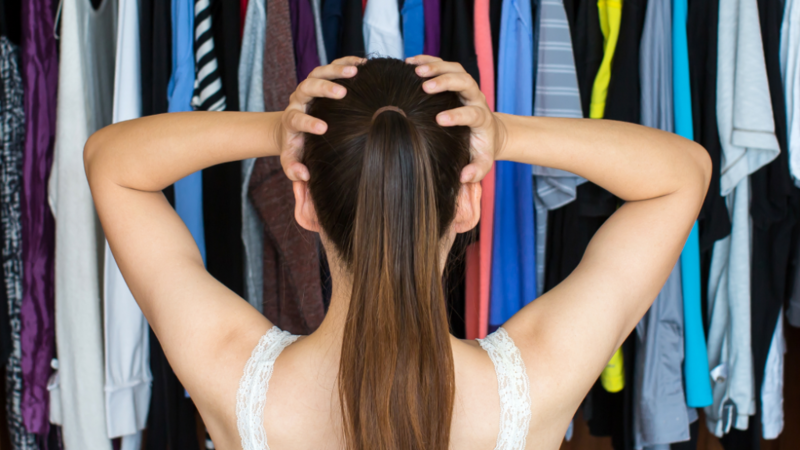 As long as you have closets in your home, how they are organized will affect the rest of your home. Everything is connected, especially when it comes to home design. You can’t have a beautiful and FUNCTIONAL space without having equally beautiful and functional storage! And whatever you’re stuffing in the closets has to be kept in such a way that it doesn’t suffer damage in storage along the way. Fabulous shoe storage in a previous client’s closet. So…we’re here to help you design the organization systems that will maximize your closet space. It’s not about stuffing more things in, it’s about using the space that you have in the highest-functioning way AND so that you can eventually open the doors in front of guests without closing it quickly again in shame! What makes it so hard to organize? Did you realize that there’s such a thing as closet hardware? Because, yes, those flat shelves don’t work for storing everything! Imagine an accounting office built with “inbox” baskets strewn around the floor but no other types of filing. It would take nine stories of floorspace just to store my tax returns for the last five years. …And that’s just in the bedroom! 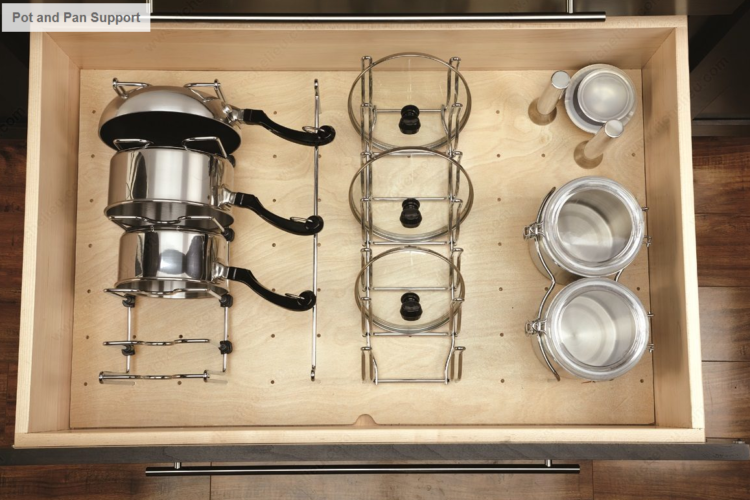 What about storage for post and pans? And those bottles and tubes of toiletries? Messy pots and pans drawer. Clean and organized pots and pans support from Richelieu. Knowing which solutions to get comes after a careful assessment of what you have, which closets need the most help, and a conversation with your designer. Getting the extra help can turn a puzzle into a step-by-step guide to the closet organizational system that can literally change your life. You really need good lighting around your closets—both for function and design. Fumbling around in a closet has a lot to do with how your space is organized, but it can also have as much to do with not having simple lighting solutions installed. With the right design, you can even turn closet corners into an attractive décor detail instead of a looming eye sore in the corner of a room. Picture a can light pointed at the closet, cascading down the door…or, for open shelving, recessed fixtures from inside the shelves leaving each shelf illuminated from above…there are some gorgeous solutions that will take the gloom and clutter out of your closets forever. And you’ll never be left fumbling for something again! Still. why’s my designer writing about closets? We’ve already talked about how everything is connected. And we’re not exactly going to deep clean your closets for you, so this isn’t about some magic closet-cleaning service we’re about to announce. 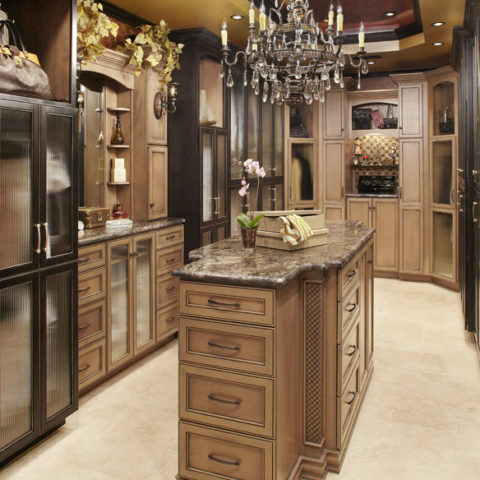 However, our passion comes out in closet design because we can also help you adjust or update the construction of your closets, install the right lighting, and devise the system with ALL the storage hardware to completely change the scope of storage in your home. A designer can help you create a full system. We want you to love your space and be able to truly use it. Is it really too much to ask for a closet to be organized and attractive? We don’t think so! Previous client’s gorgeous closet renovation. The icing on the cake is when you tap into our Partner Network. We can find you the best products at the best prices thanks to our vendor relationships, and this ends up meaning discounts for you. For example, if you love Elfa storage solutions, we can get you free in-home measuring and design AND THEN 30% off these products through the Container Store all year round—you just have to ask! 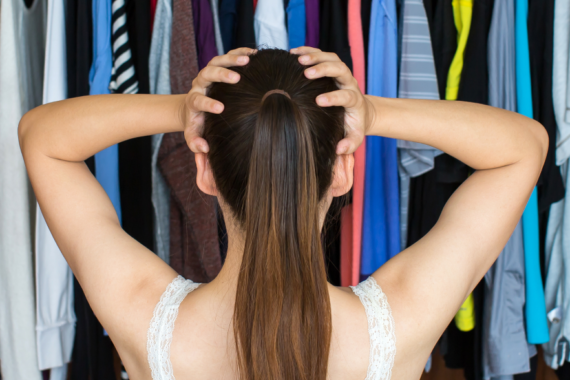 Laurel Bern said that 79% of respondents to one of her surveys admitted they’re struggling to stay organized with closet space, so it’s not just you! We guarantee if you get a friend to help (usually a bottle of wine works to coax someone over for an afternoon), you’ll even have someone to relate with as you hem and haw over each item’s new home. The next step is just making the jump. Get started right now, this very second from your chair—it’s as easy as using the Container Store’s virtual design tool. And then, call us! We’ll hook you up with discounts, help you with design, and be there to celebrate when your closets turn from clutter to class. Thank you so much for the kind mention! It’s so good to know we’re not alone. And now that my place is so tidy, I’ve learned that the secret (or one of them) is paring down. Way down.